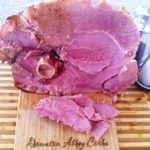 When our family entertains over the holidays, many guests have come from other family meals so a ham is often a nice change of pace from endless turkey dinners. The best part is that you just throw in the oven and walk away for the day. 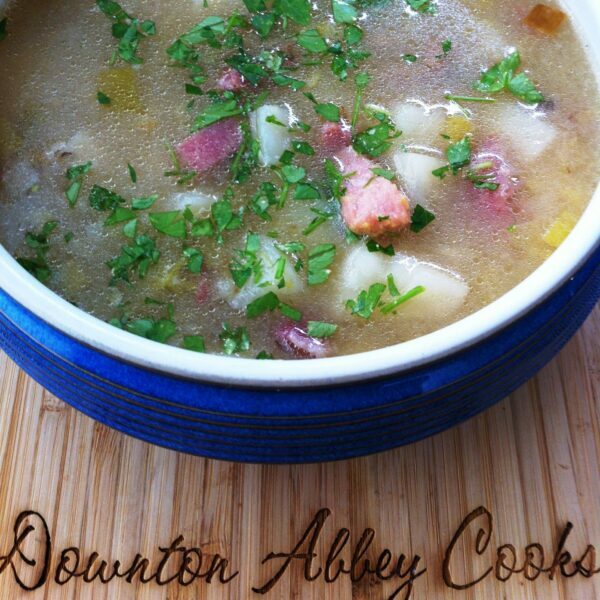 The leftovers are great to have on hand and I often save the bone to makeover into my Hearty Irish Ham & Potato Soup. This is a great Irish inspired soup, a wonderful example of dishes which would start upstairs at a grand house, and finish downstairs. After a lovely upstairs dinner of roast ham, the bone could be made into a delicious soup for the servants. You can freeze the bone and bring out to make this hearty soup for St. Patrick's Day. Combine the ham bone, ham, water, stock and vegetables in your soup pot and bring to a boil over medium heat, and then reduce to simmer for 40 minutes. If there is meat still on the bone, it should be easily removed by this point. Shred and put it in your soup. Peel and cut potatoes (or sweede/turnip) into small cubes bring back to the boil, then reduce again to simmer for another 15 minutes or until tender. In a medium saucepan, add the flour over medium heat and stir as it turns brown. Don’t let the flour burn. Gluten free/keto can ignore this step. Take some liquid from the pot and mix with the flour or xantham gum to thicken. You can adjust the thickness of the soup by the amount of the thickening mixture you add. If it gets too thick, simply add more liquid. Season with salt, pepper and sprinkle the parsley on top when you serve.